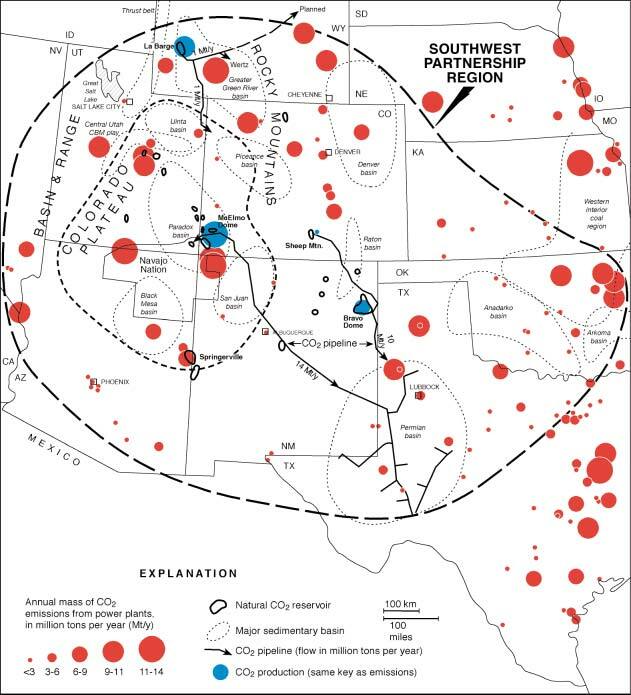 The Southwest Regional Partnership area contains numerous oil, gas, and coal fields in various stages of development, a well-developed energy infrastructure including two major CO2 pipeline networks, and numerous large coal-fired power plants. Potential geologic options for sequestration include mature oil and gas fields, deep unmineable coal fields, and deep saline aquifers. 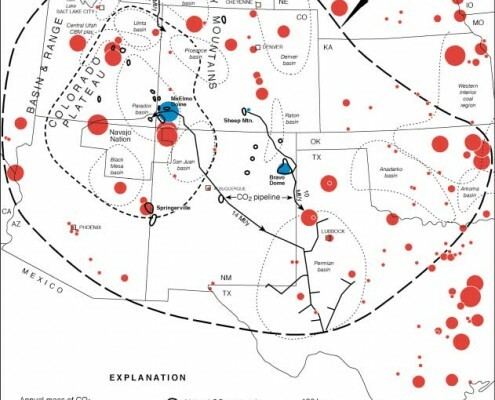 Also, injected CO2 could be used for enhanced oil recovery or enhanced gas recovery from coalbed methane prospects, resulting in CO2 stored underground. Non-geologic options include enhanced biomass (e.g., through forest growth), increased soil organic carbon storage through improved agricultural practices (e.g., minimizing tillage), and surface storage through new techniques for chemically converting CO2 into carbonate. 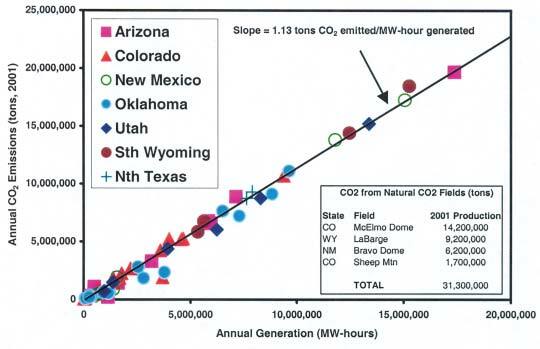 In contrast to the terrestrial storage options that extract CO2 from the air, the geologic storage options require a point source of CO2 for injection, and therefore need to be close to a CO2 pipeline, or to a large coal-fired power plant. The graph shows the close relationship between electricity generation in the Southwest Regional Partnership area, and CO2 emissions from the power plants. The 10 largest power plants generate 50% of the region’s power plant emissions, and all 10 use nearby bituminous coal as a fuel. Studies of total CO2 emissions indicate that power plant emissions are about half the total, with a major part of the remaining emissions being from transportation. 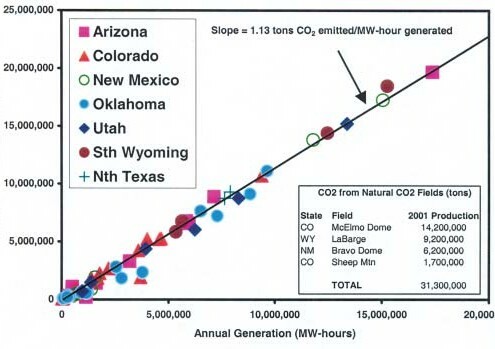 One implication of Utah’s rapid growth rate, and its growing demand for electricity (over 2% per year), is that its CO2 emissions will also continue to grow. These trends are typical of the Intermountain West. The CO2 sequestration partnership grants are for two years. Information about DOE’s carbon sequestration priorities can be found at: http://www.netl.doe.gov/coalpower/ sequestration/index.html. The Southwest Partnership Web site is at: http://southwestcarbonpartnership. org/. Information about these projects is also available on the UGS Web site.